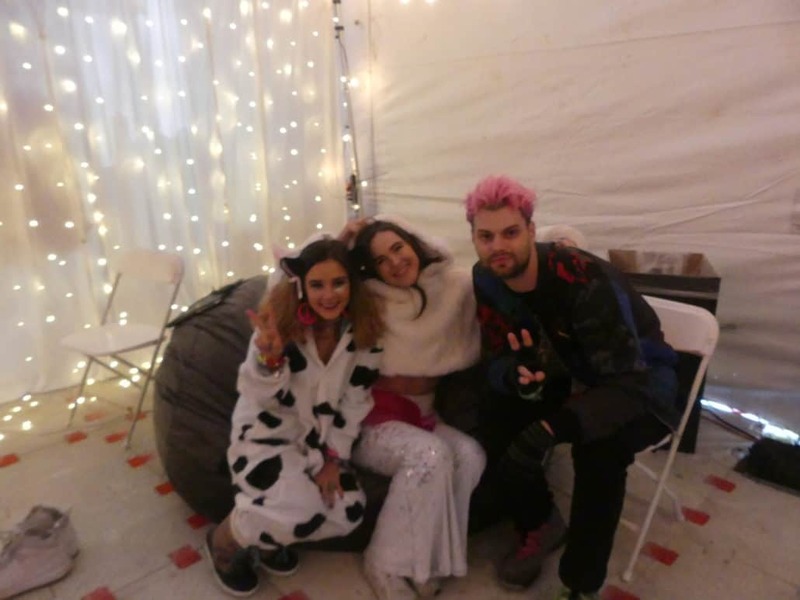 DJ Fizzi Pop Interviews Sofi Tukker! What do you get when you mix Brazilian Bossa nova, poetry, drum machines, old-school house, neon lights, animals, and a giant dance party? You get the power duo Sofi Tukker. This group from New York have taken the music industry by storm, earning 2 Grammy nominations just within the past two years of releasing music. Sofi Hawley-Weld’s crooning voice and guitar mixed with Tucker Halpern’s trademark deep voice and DJ mixing creates a one-of-a-kind performance that any age can get down to. The two had met in college and decided to mix their two different styles together, at first just for fun, and then became discovered by a world begging for something new and different – in which they bring. Not only does their music make a statement (check out their singles “B*****t” and “Moon Tattoo”), but their live shows are even more memorable. Each time I’ve seen them, they create a giant dance party and get in the crowd, and even crowdsurf to the back of the audience (they even have an instrument called the “tree book” – I’ll let your imagination decide)! 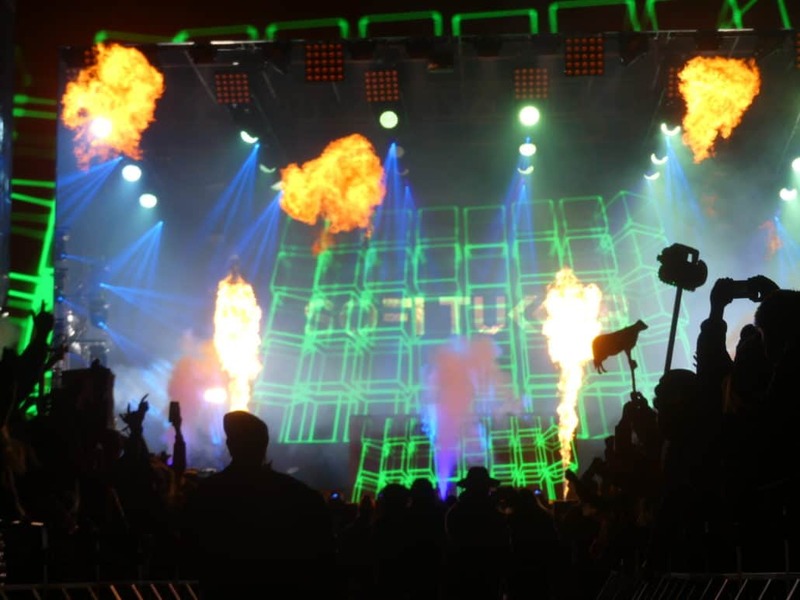 Their interactivity with their fans is notable to the point where it feels they are friends with them – always handing out a smile, a hug, or a high five to any member in the crowd. As well as the new addition of their collective Animal Talk, this duo’s jungle pop-meets-deep house sound isn’t leaving any time soon. In fact, catch them on tour in Europe next month (have I mentioned they’ve been touring nonstop since 2016?). 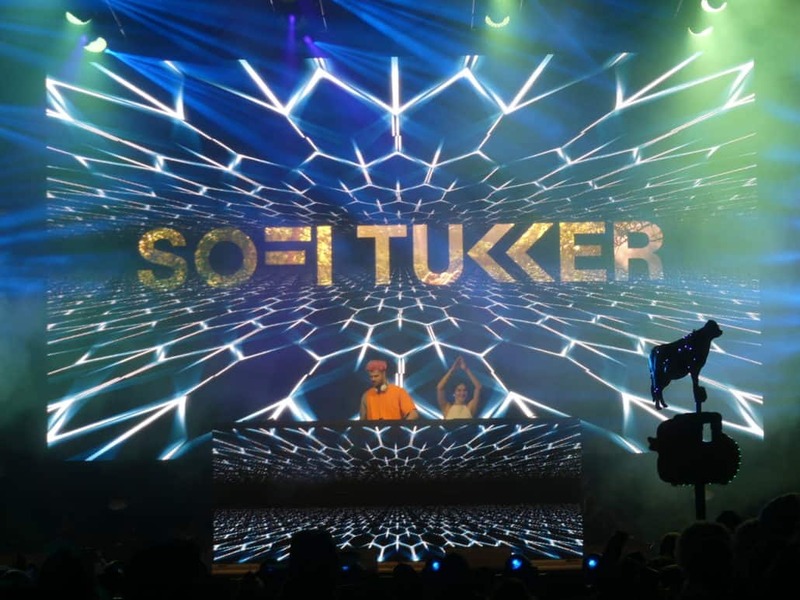 Between their wild schedules, I had to chance to pick Sofi and Tucker’s brain at Snowglobe Music Festival about how they made their musical mark, as well as plans for the future. Sofi Tukker’s music is available on all streaming platforms. Their new album, Treehouse, is currently nominated for a Grammy for 2018’s Best Dance Album. DJ Fizzi Pop’s show Soundwave Sanctuary airs Fridays 4-5PM, only on KZSC Santa Cruz 88.1 FM (or kzsc.org/streaming). next post: DJ Fizzi Pop Interviews CRAY!